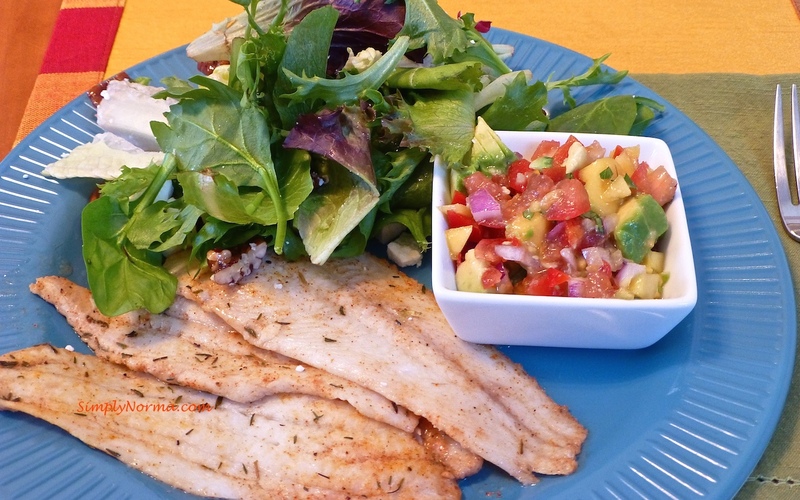 I’ve been wanting to eat more fish recently so I searched for a new recipe and found one that is for Spicy Grilled Halibut with Fresh Mango Salsa. Then I tweaked the recipe a little bit to use more of what I liked although I used the mango salsa just as it was. And how did it come out? Very good. 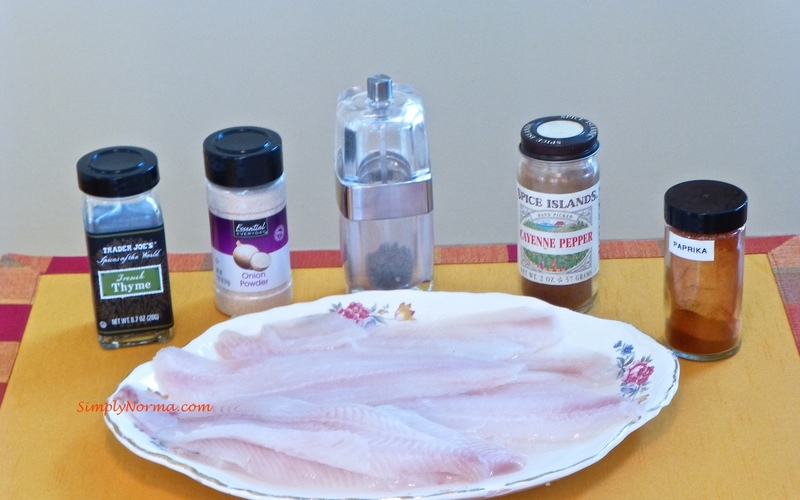 I had tried tilapia for the first time about a month or so ago and really liked it but I was hoping to find fish that was wild caught in the U.S. Unfortunately, the tilapia I had used before was from Costco, frozen and farm raised in Thailand. 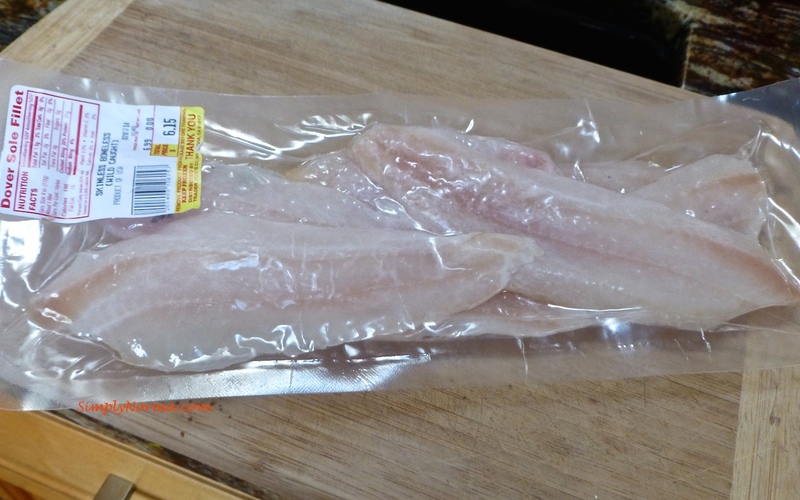 Eventually, I found some dover sole fillets at Trader Joe’s that are U.S. farm raised (close enough). I didn’t realize that when the fish is cooked, it actually shrinks along with the fact that sole is a delicate fish unlike a beefy salmon. So — this package was enough for two even though initially I thought it was going to make a lot. I made the mango salsa first. Here’s what you’ll be needing and it makes a LOT of mango salsa but I refrigerated it and used it over omelettes the next day. The sole will have an herb seasoning that you’ll be making. After taking the sole out of the package,I defrosted it in a bowl of cold water for about 30 minutes. Then I patted it dry, put it in a bowl, added the lime juice and seasoning then stirred it carefully so as not to break the sole up (remember, it needs a gentle touch). I then lined a cookie sheet with olive oil and put the sole on it making sure both sides were covered with the olive oil. Next time, I won’t line the baking sheet with olive oil but will brush the olive oil on both sides of the sole (uses less oil). After baking the sole on one side, I turned it over. Do you see where it came apart? I didn’t realize how “sensitive” they were until I turned one over. Alright then — let’s try this recipe. Preheat the oven to 350 ° fahrenheit. 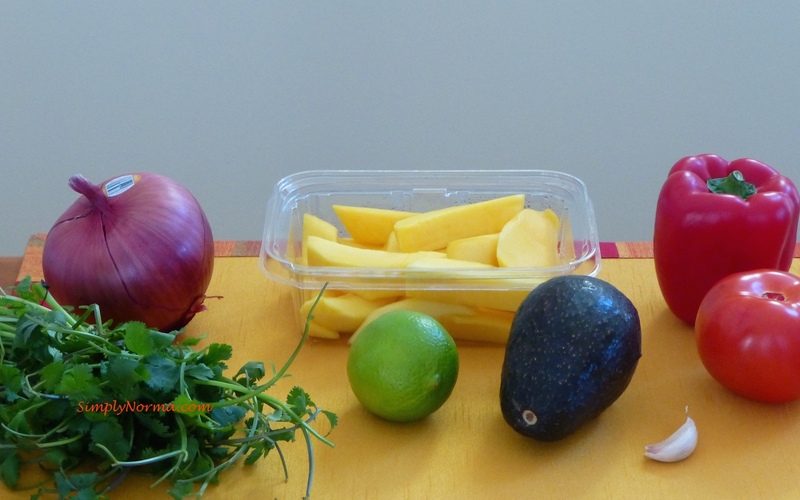 Start by preparing the mango salsa. 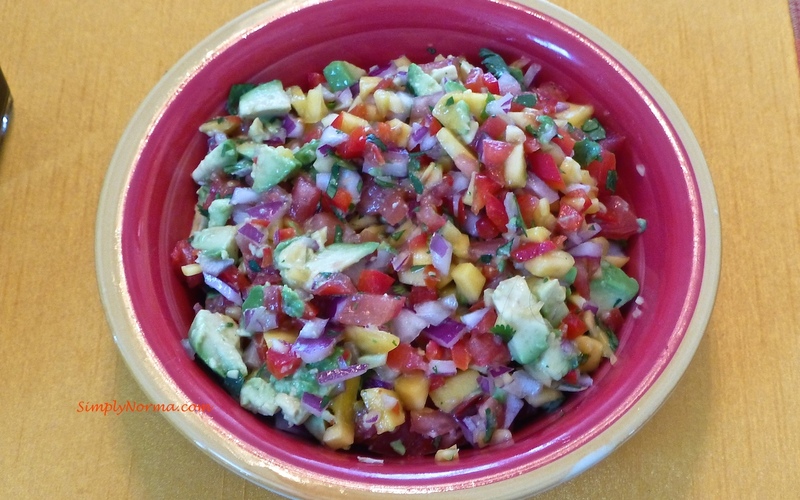 In a medium-sized mixing bowl, toss together the tomato, red bell pepper, mango, red onion, cilantro, garlic clove, lime juice, and salt (if using). Add the chopped avocado then cover and place the mixture in the refrigerator until ready to serve. 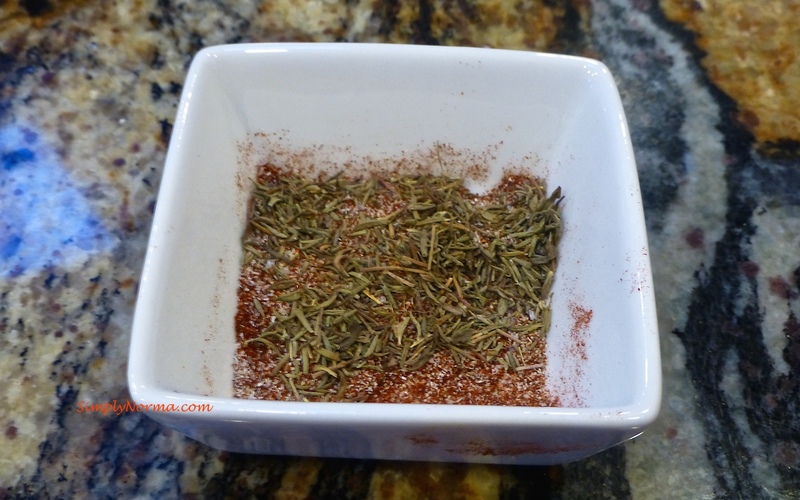 In a small bowl, mix together the cayenne pepper, paprika, onion powder, ground thyme, black pepper, and salt (if using). Set this aside. 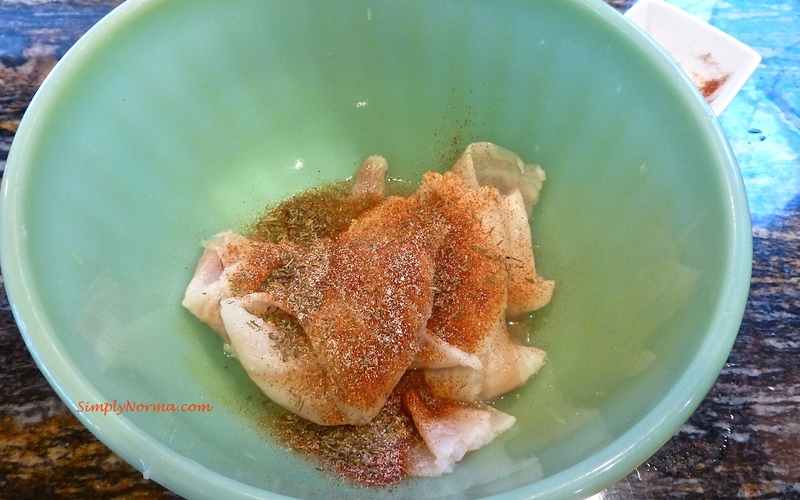 Put the sole into a bowl and squeeze the lime juice on top then gently stir. Toss the seasoning mixture on top of the sole and stir gently until all is combined. On a cookie sheet, add a small bit of olive oil — enough so that you can coat both sides of each sole on it. 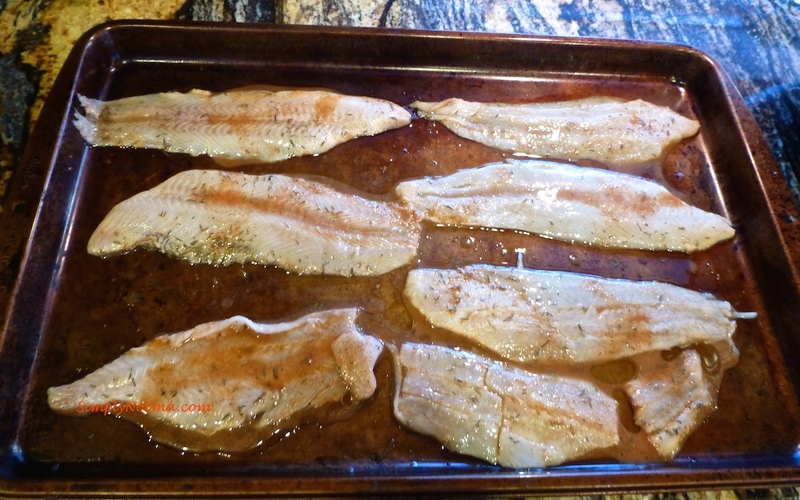 Bake the sole for 10 minutes then remove from the oven, flip the sole over and bake for an additional 10 minutes. (Make sure you keep an eye out on the sole as ovens differ in how they heat). When the sole is cooked, remove from the oven and serve the salsa over it along with your favorite vegetable or salad. So — here’s what the mango salsa looked like. And here was our dinner — simple, paleo and tasty. Special thanks to dairyfreecooking.about.com for the inspiration of this meal.